Germany, c. 1900. On round base, decorated with floral and fruit pattern. 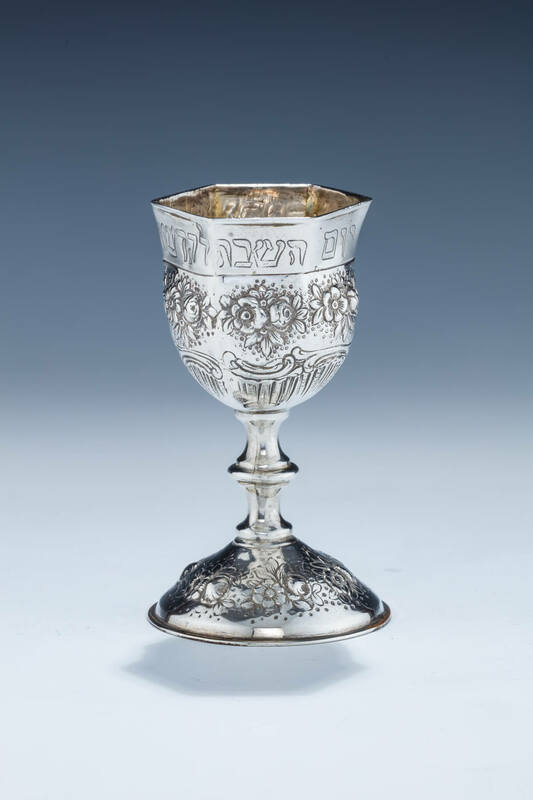 Upper portion octagonal and engraved with biblical commandment to remember the sabbath. 4.7” tall.